The Women’s March on Washington in 2017 was one of the most powerful experiences of my life. One year later there is still so much work to do, but positivity is key to keep the energy going. 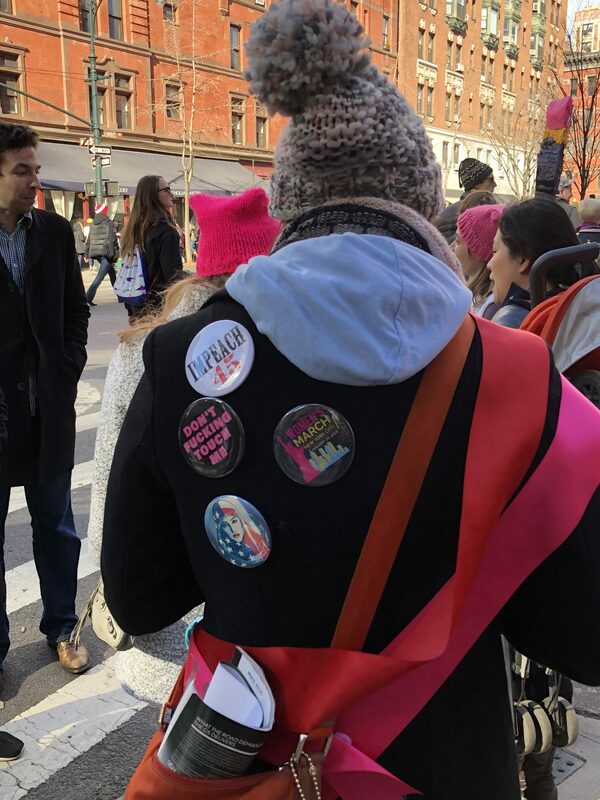 And there was some beautiful energy in the New York City Women’s March 2018.
abundance of men, boys, young wo men…families. We are not alone in this fight. Intersectionality (the theory that the overlap of various social identities, as race, gender, sexuality, and class, contributes to the specific type of systemic oppression and discrimination experienced by an individual) is crucial, and the signs showed this idea. This talk is wonderful. The video towards the end is disturbing but necessary and artful, with music by Abby Dobson .